Elven detective Saxon Kirby is under pressure to find out who left a gnawed body at a Las Vegas tourist attraction. He already knows what is responsible: a werewolf. 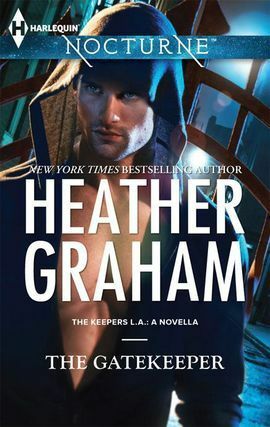 The Keeper of the Vegas werewolves is supposed to control his charges, just as Keepers have kept vampires, shifters and other paranormal races in check for over a century. But the local Keeper is weak and there is nothing to stop the murderous wolf--except Saxon. This book just didn't quite add up for me. It is a prequel to the first book in the Keepers:LA series, so I read this hoping for some insight into the series before reading book one. The story was okay, but it never fully gripped me and I was particularly underwhelmed by the romance aspect which suddenly jumped out of thin air towards the end in a forced and unbelievable way when the characters had shown no previous emotion in that area. Overall, I just didn't see the point to this novella as, having now read book one, I really don't think it brought anything important to the series.